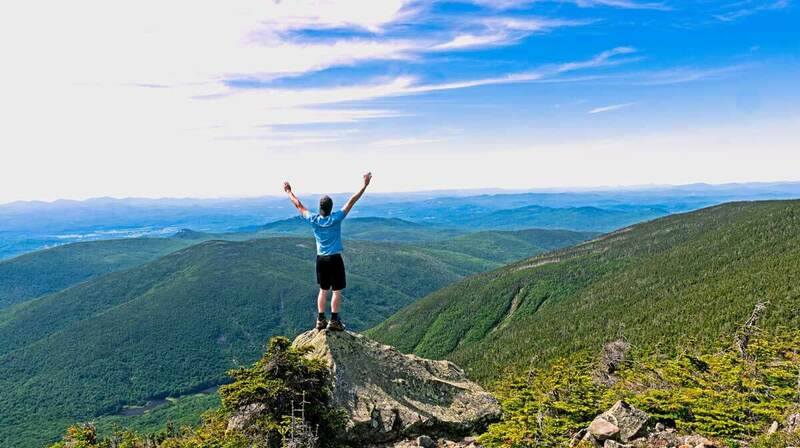 Summer hiking is popular among most hiking lovers and outdoor enthusiasts nowadays, even though the scorching sun never meant to hide in the cloud to show a cool moment, the clear, sunny skies and long daylight hours can all mean an amazingly full day on the trail. So today we’ll show you a list of 10 practical summer hiking tips for your summer trail, which will help you prepare everything well for the next adventure. Choosing a route carefully can definitely influence your summer hiking plans. Considering the weather, temperature, time duration and destination distance, a great summer hiking route should have enough shade and it is better there are water resources like streams, rivers on the trail, which is convenient for you to cool off. You need to keep a note of the places you want to hike and get information about weather conditions and their difficulty level. Take the weather into consideration before setting out on any hike can be a wise behavior. If you’re hiking in a mountainous area, be aware that weather in the mountains is generally colder and more severe than in the valleys and the weather can change quickly. Summer hiking at altitude should be mindful of the fact that the sun is stronger up there and you’ll get burned faster. Always check the forecast just before you start your hike as the weather may have changed between the time you left home and arrived at the trail-head. Hiking gears include 2 kinds of equipment – the general equipment like extra clothing, flashlight, sun protection, mosquito killer, fire starter, water bladder, etc., and emergency survival gears like mesh network device, survival bracelet, first aid kit, etc., as well as some overlooked essentials. It is important to prepare everything well and in case of an emergency. Summer hiking also puts emphasis on your dress, it is hot and burning, but you shouldn’t only seek for cool. A shirt is fine or a light-colored t-shirt will do the job against sun-rays, dark-colored clothes and shorts should be avoided and you’d better take a long sleeve shirt and a pair of loose trousers for sun protection, as well as for insect biting or other assault like snakes, bugs, etc. Water is the source of life and helps keep your energy level up. There is currently no running drinking water available in the trail, so taking enough water is necessary for your hiking, especially in summer, the strenuous hiking in hot weather will cost much more water. Keep at least 2 liters of water with ice cubes in a water bladder or water bottle holder waist bag with you, so that you can replenish hydration in time on your journey. Heat stroke, also known as sunstroke, is a type of severe heat illness that results in a body temperature greater than 40.0 °C (104.0 °F) and confusion. Other symptoms include red, dry or damp skin, throbbing headache, dizziness, muscle cramps, nausea, disorientation or confusion, Onset can be sudden or gradual. If you or your hiking partner think you’re getting heat stroke – stop hiking, find shade, and cool down ASAP. Immediately start planning on getting off the trail and to medical attention and don’t hesitate to call 911. Nobody likes to experience the dangers in the summer hiking, but everything is unpredictable in your journey, so it is essential to learn something about self-rescue before starting. You can read some books about wild survival skills or listen to an Internet lesson for more knowledge. After everything getting ready and the hiking day finally comes, you’d better get an early start on that day for summer days are always very hot, 11:00 AM to 2:00 PM is usually when the thermometer peaks, start early will not only be comparative cool but also energy-saving for the trail so that you won’t be tired before the hiking finished. Editor for the outdoor sports blog, who is also an outdoor enthusiast, devoted to finding practical, affordable and interesting outdoor gears and helpful guides, then sharing the information with the readers. You can find what you need about outdoors in Mia’s posts quickly and make a better preparation for your next adventure. How to choose your bike bags for 2019? 5 Best Spring Hikes in the U.S. I reckon something genuinely interesting about your web site so I saved to favorites. Thank you so much! Please keep a focus on our website! hqrwlgva,This website truly has alll of the information and facts I wanted about this subject and didn?t know who to ask. Hi, thank you for your support! What Are Top 5 Spring Break Outdoor Activities? © 2019 - All Sports Wiki. All Rights Reserved.